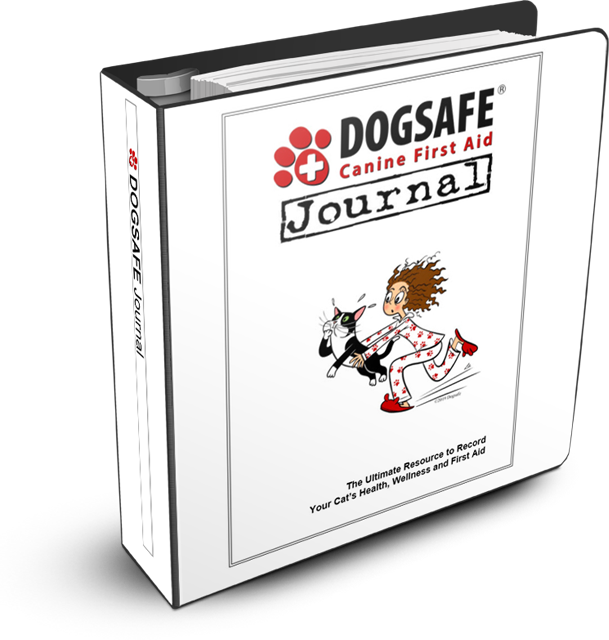 Introducing our Dogsafe Journal: The Ultimate Resource to Record Your Dog's Health, Wellness and First Aid. The purpose of our journal is to help you, help your dog. 82 pages of charts, lists and diagrams so you can easily, and accurately, track your dog's health, throughout their entire life. This is a place to document contact information in advance of needing it, as well as documenting changes in health or first aid, as they happen. And the journal is transferable to your dog professional, friends, family or anyone who helps you care for your dog – wherever your dog goes for care, the journal goes too. Easy. This section is for recording a snapshot of your dog’s health and wellness at the present moment, and we recommend updating the records, at the very least, annually. It’s also for recording first aid incidents that were cared for at home (eg. minor wounds) and more serious injuries that resulted in veterinary follow-up. It’s also a place to record regular head to tail assessments and on-going monitoring of care such as vital signs, ear cleaning or other regular care you provide. The third section is for veterinary records including appointments, vaccinations, surgeries, dental care and any alternative care such as canine massage and acupuncture. It is also the place for you to attach veterinary receipts so everything is kept in one place for easy future reference. This important section is about end of life. While it is not a time we ever want to think about, when we talk about it in advance, we are better prepared to help our dogs for their entire lives, including the end. This section will help you start the conversation with yourself, and your friends and family. You'll never run out of room with our blank charts that you have permission to photocopy for use within your own Dogsafe Journal. We recommend that you photocopy extra pages of each right away so that you always have them ready to use without writing on the original blank page. Which One, Binder or Flat-Pack? ​Our Dogsafe Journal: The Ultimate Resource to Record Your Cat's Health, Wellness and First Aid, is customized for your feline.